This 2-day course provides the foundations to be an effective Scrum Master. 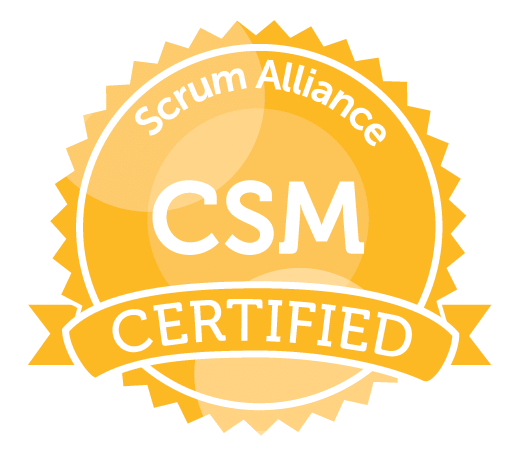 Achieve Certified ScrumMaster® (CSM) designation with Scrum Alliance® by successfully completing this training and the online exam that is taken after the workshop (you will receive the link directly from Scrum Alliance®). The Certified ScrumMaster® course is normally the recommended entry point to the practice of Scrum and is a prerequisite to more advanced certifications: A-CSM®, CSP-SM®. 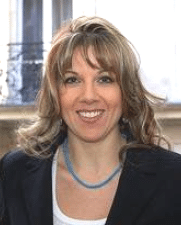 Mishkin Berteig leads, mentors, trains and coaches teams and organizations, managers and executives. Mishkin helps organizations become more effective by using methods such as Scrum, Extreme Programming (XP), OpenAgile® and Lean. These methods present the best balance between chaos and bureaucracy; they allow human creativity and problem-solving to flourish in the service of tangible corporate and organizational goals. 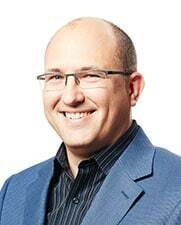 Mishkin has over 20 years of professional experience with Agile methods. 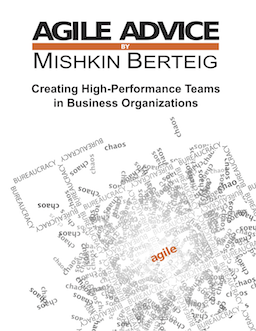 Mishkin publishes articles and thoughts about agile on Agile Advice. 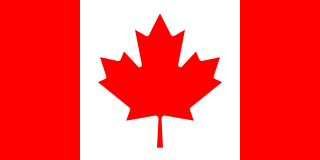 Mishkin has trained people from Canada, the United States, India, China, the Middle East and Europe. 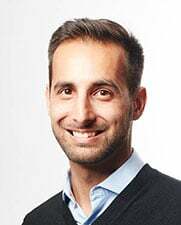 Mishkin Berteig is President and co-founder of BERTEIG. Working at different organizational levels from operatives to senior management, his focus is to achieve sustainably higher results. 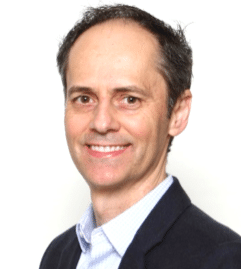 David has trained, mentored and coached thousands of people for many businesses, with a focus on increasing personal performance for coaches and improving their business environment, overall. High profile clients include Volkswagen, Saint Gobain, Nortel Networks, Sherwin Williams, Coca-Cola, SITA, HSBC and Rolls Royce. 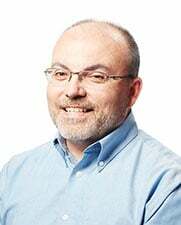 David has lead projects and workshops in materials/logistics, manufacturing, purchases, finance, sales, R&D and information technology areas. Pedram holds a BSc. in Computer Sciences and has been developing software for over 10 years in a variety of industries and learning to apply Agile principles. Pedram trains and coaches Agile teams to strive for technical excellence using Agile practices to deliver high quality software. 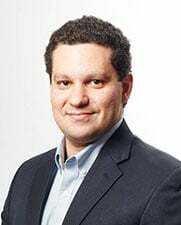 Pedram helps teams build technologies that focus on customer's needs and are responsive to market conditions. Pedram directs the development of BERTEIG's core technology that supports our vision and strategy. When he is not training or coaching you can probably find him designing and building software using the Mongo Express ReactJS Node.js (MERN) framework. Pedram joined BERTEIG in February 2017. This 2-day course provides the foundations to be an effective Scrum Master. Achieve Certified ScrumMaster® (CSM) designation with the Scrum Alliance by successfully completing this course and the exam. BERTEIG is a Registered Education Provider with the Scrum Alliance® and the Project Management Institute® (PMI). Jerry Doucett is a top-notch teacher and facilitator. He guided the class through the material using thought- and action-provoking methods. 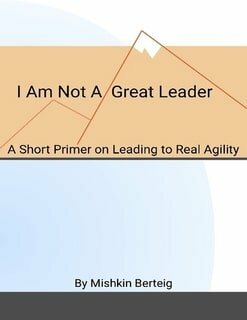 Mishkin's insights provided valuable context as to how Agile methods may be effectively scaled. Berteig's CSM training is a must for any organization or individual looking to adopt Agile principles. The course provided a good foundation for the use of the scrum framework in complex production development and enhancement. The instructor was engaging and referenced other methods/courses that may be suitable for the work/culture we are in. Instructor was very knowledgeable. There appeared to be a handout for every issue raised which indicated that these had been asked and answered before. I was very impressed with the course content, pace and expert knowledge of the course facilitator. Mishkin and Jerry are wonderful facilitators and did a great job of managing the learning outcomes of the CSM course. I definitely appreciate the passion the BERTEIG trainers have for Scrum, and the respect they have for the original spirit of the methodology. I immediately found myself thinking about how and when this could be applied in my current job. I would strongly recommend this to anyone looking to get exposure to Scrum and Agile, and work in team settings. Although this was only 2 days course, Mishkin and Jerry managed to do massive knowledge sharing with an excellent approach and a very interactive training. Such heavy topics bundled with a lot of hands-on practices and SCRUM simulations and team working, made it quite fun. I will definitely recommend it! Best in-class curriculum and team exercises that truly reinforce learnings and allows us students to practice the Scrum Master skills. Mishkin and team provided an educational and fun environment to learn about Scrum, and how to do it correctly. We practiced Scrum and it provided great insight into how we are doing as an organization. This course was my first true introduction into the ``agile world`` – and the facilitators were great – knowledgeable and real (no sugar coating). I appreciate the candor as it will help to differentiate when it makes sense to use scrum framework in a corporate setting vs. other PM methodologies to ensure successful execution. Berteig deserves the positive feedback they constantly receive and I would recommend them to anyone wanting to learn SCRUM. Will recommend that the Scrum Masters seeking certification within my org attend this course. The training was great including the pace and materials. I look forward to revisiting and applying the Scrum techniques and tools with better understanding now. As always, Berteig delivered a high quality, in depth training course delivered by two passionate experts in their field. As with all training courses I've attended with Berteig, the trainers never shy away from what can be perceived as controversial questions that challenge the established opinions of Scrum/Kanban. Berteig is some of the best corporate training I've attended...I would highly recommend Berteig training to anyone interested in Scrum. The courses have an excellent balance of theory and practical application, the exercises are creative and engaging, and Jerry and Mishkin know their craft. An accelerated, first-hand way to learn agile and scrum fundamentals. Strong facilitation and participation. A former colleague introduced me to the company and course....the instructors were outstanding has they provided real world insight and problem solving for many of the situation that Scrum Masters would face. Course was extremely well delivered, organized and super fun! Would do another course with Berteig in a heartbeat! Jerry and Mishkin are truly masters of their craft. I highly recommend this course to anyone that is beginning their agile journey. The Certified Scrum Master training provided by Berteig was truly outstanding. My training will improve day to day relations with colleagues and enhance productivity in our project work. Great instructor. He made it easy and fun to learn Scrum as well as create an actual product for real world application. He also showed how a group of strangers could unify as a team. I am excited to try and apply this in my career going forward. I enjoyed every aspect of the Berteig's CSM training. The course not only introduced me to Scrum within the two day period, it also gave me a chance to interact and network with other professionals while learning. Absolutely met my needs. The instructors were informative, excited to be there/presenting; open to adjusting schedule based on classroom needs; available during breaks for one-on-one interactions. I was so glad that I decided to take this course. The insights received were very useful and practical. Looking forward to implementing some of the values and practices learned. Instructors are highly energetic and have a strong understanding of the concepts. The Scrum training was amazing, I would strongly recommend Berteig trainings. Very well organized, on time, very detailed with real life scenarios and how to address various challenges. Also what is amazing is they want to hear client's feedback and areas for improvement which means they actually practice what they preach in 'Scrum. The Berteig CSM course tapped into my knowledge of scrum and taught me concepts I didn't know before. Learning is a gift and I am glad I took this course! I am happy to let you know that I passed the CSM® test today. I really enjoyed your class and it cleared up some big misconceptions I had, plus provided some harsh truths about Scrum. The simulation you have in the class was so close to reality and how humans interact and behave...this has actually been a breath of fresh air, because reality is harsh and far, far away from theory. Thank you for all the reference materials, and the books. I highly recommend taking the course. Excellent way of coaching. Very engaging learning experience. The group work was intense! And sooo applicable to the real-world. This was an intense, dynamic, and very engaging introduction to Scrum that made the framework easily accessible and understandable - despite the fact that I am not a software professional. I found the CSM course insightful, interesting and challenging. I highly recommend the class. felt a strong need to acquire the knowledge of the fundamentals so that I could help correct the misrepresentations of agile in my company. I believe strongly in the framework and it's relevance and as such feel obligated to defend it fiercely. The hands-on approach made learning agile principles effortless. Left a very clear vision of what agile should be. This was a great course with an awesome interactive activity which allowed me to appreciate what the developers on my team go through when new requirements are thrown at them. Great team work and autonomy, with solid materials, guidance and candid feedback from the BERTEIG trainer. Remove obstacles that prevent teams from achieving high-performance. Describe Scrum to others including the roles, meetings, artifacts & principles. Describe how the Scrum Framework is based on empirical process. Fulfill the requirements of the Certified ScrumMaster® (CSM) program. 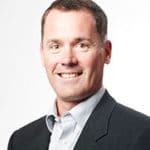 A Certified Scrum Trainer® (CST) with extensive global training experience and an impressive and diversified professional background; Petra provides solid practical Agile coaching and training services in both North America and Europe. Petra's professional career spans guiding business technology, classroom based education and Agile coaching and mentorship. Petra has over 10 years of experience, leading departments through Agile transformations and supporting project teams in adopting effective software delivery using Agile processes. Attendees also receive a free electronic copy of Jerry Doucett’s book “The Scrum Master Guide to Choosing Retrospective Techniques”. 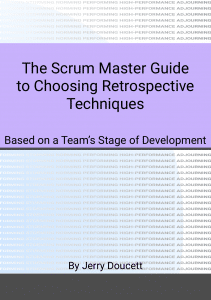 This is a practical how-to guide for Scrum Masters who want more effective team retrospectives, based on Jerry’s decade plus as a Scrum Master and Agile Coach.